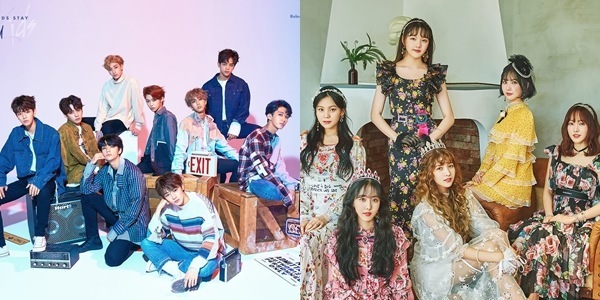 Concert Rundown: Here are All the K-Pop and Hallyu Acts Heading to Manila This 2019! K-pop fans, have you started saving up already? This year is going to be a fun one because of all the Korean music and television icons who will be visiting the country to perform and meet their Filipino fans! Grab your lightsticks now, as we give you a rundown of everything you need to know about the recent and the upcoming K-pop events this year! Don't forget to bookmark this page as well, because we will be updating them as more shows and dates are announced in the year! 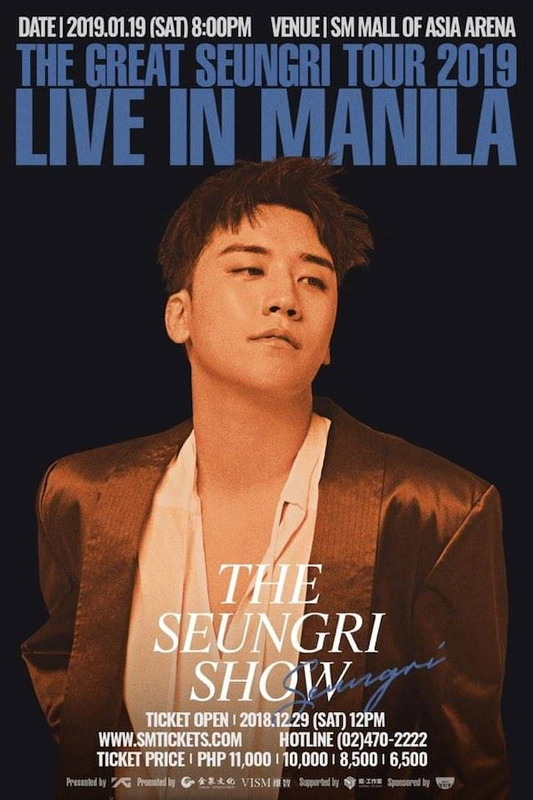 BIGBANG's Seungri returned to the MOA Arena stage for his first solo concert here in the Philippines. The singer performed songs from his solo album The Great Seungri like "1, 2, 3" and "Where R U From", as well as classic BIGBANG hits "Bang Bang Bang" and "Fantastic Baby". Joined by 2NE1's Sandara Park, they also performed Iñigo Pascual's "Dahil Sa'yo" for their Filipino fans. Seungri last performed in Manila with G-Dragon, Taeyang, T.O.P., and Daesung back in 2015 for BIGBANG's "MADE" World Tour. 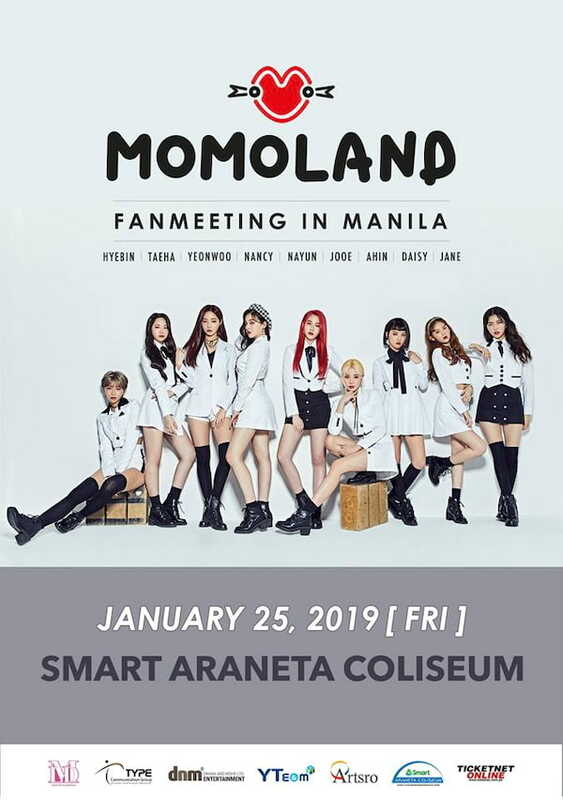 Just a few months since K-pop group Momoland visited Manila to perform at an exclusive event, the group returned for a fanmeeting for their Filipino Merries last January 25. Composed of members Hyebin, Yeonwoo, Jane, Taeha, Nayun, Daisy, JooE, Ahin, and Nancy, the group debuted in November 2016 under MLD Entertainment, and has since released 4 mini albums and 1 compilation album. They're most popular for the songs "Bboom Bboom" and "Baam", released in January and June, respectively. 3. 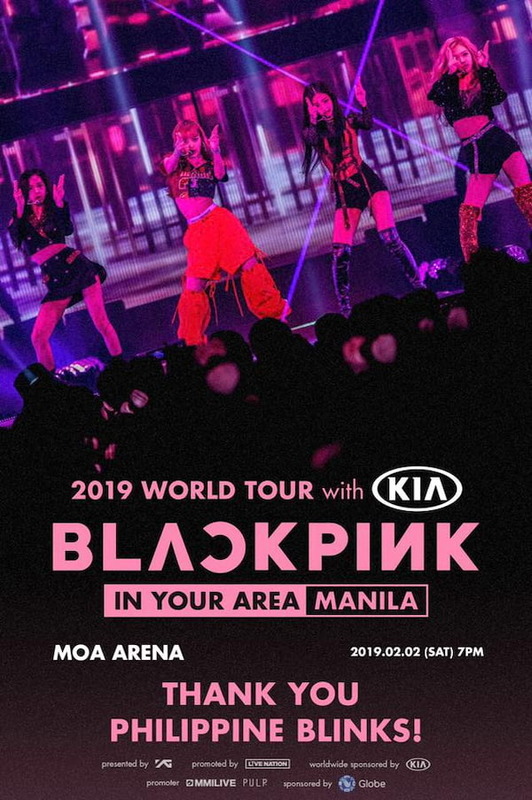 BLACKPINK's 2019 World Tour "BLACKPINK IN YOUR AREA MANILA"
BLACKPINK's Jisoo, Jennie, Rosé, and Lisa have finally come to our area, Blinks! The 4-member group from YG Entertainment performed here in Manila last February 2, where they treated their fans to the stages of their hits like "Ddu Du Ddu Du", "Boombayah", "Playing With Fire", and more! The members also performed solo stages which showcased their talents, with Jennie performing "Solo", Lisa performing "Swalla", Rosé singing "Let It Be", "You & I", and "Only Look At Me", and JIsoo performing "Clarity". The sold-out show was presented by MMI Live and Pulp Live World. 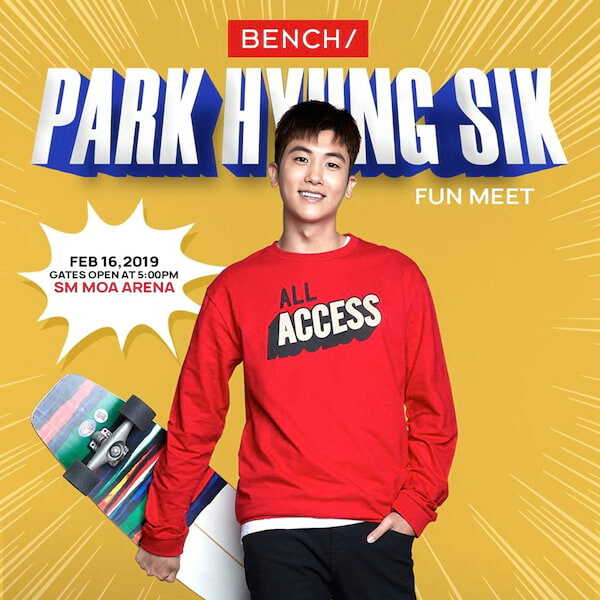 K-drama actor and singer Park Hyung Sik is coming back to Manila for a Bench Fun Meet this February 16 at the SM Mall of Asia Arena. Hyung Sik is a member of the group ZE:A and is famous for his roles in dramas Hwarang and Strong Woman Do Bong Soon. He's also one of the "Global Benchsetters", alongside Lee Min Ho, Park Shin Hye, Dylan Wang, Cole Sprouse, and Brooklyn Beckham. Fans can get a free invite to the Fun Meet by purchasing a minim single receipt worth P500 of any regular-priced Bench, Herbench, or Bench Body items. You may check out the full mechanics here. Park Hyung Sik also held a fanmeet here in Manila last 2017. 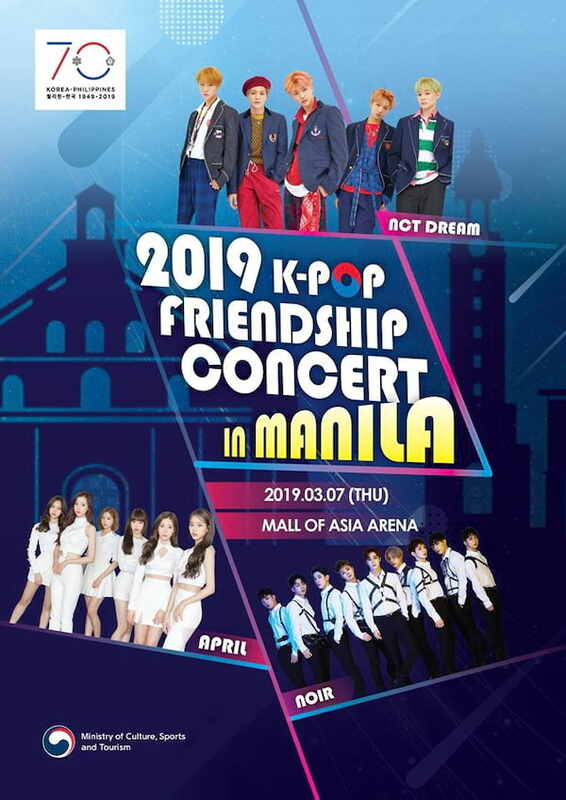 In celebration of the 70th anniversary of the diplomatic relations between South Korea and the Philippines, the Korean Culture Center here in the Philippines organized the 2019 K-Pop Friendship Concert in Manila, to be held on March 7 at the Mall of Asia Arena. The concert will be featuring performances by the NCT unit, NCT Dream, who is known for the songs "Candle Light", "We Go Up", and "Chewing Gum". Joining them are the girl group April and the boy group Noir. Admission for the event is free, but fans would have to wait for the qualifying forms on the event's Facebook page which will get them the vouchers for the show. 6. Park Ji Hoon's Asia Fan Meeting in Manila "FIRST EDITION"
7. 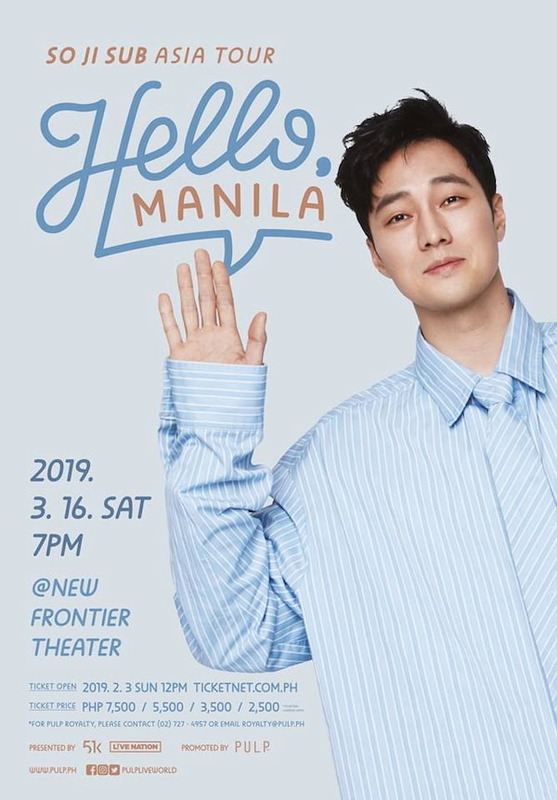 So Ji Sub's Asia Tour "Hello, Manila"
Tickets for the fanmeet are priced from P2500 to P7500, and will go on sale on February 3, 2019, 12PM at Ticketnet outlets and online. For more informatio,, you may check out PULP Live World's official Facebook page. 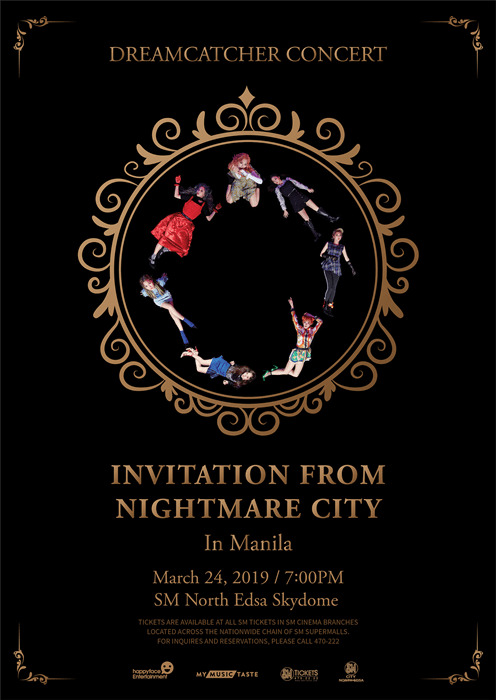 South Korean pop-metal girl group DREAMCATCHER will be performing in Manila for the first time on March 24, 2019 at the SM North Edsa Skydome to perform for the Filipino InSomnia! The group, composed of members JiU, SuA, Siyeon, Yoohyeon, Dami, Handong, and Gahyon, has already released four mini albums since their debut in 2017. They have recently made their comeback in February 2019 with the mini album The End of Nightmare with the title track "PIRI". General admission tickets are priced at P3000, while VIP tickets (which includes Hi-Touch) are priced at P6000. Tickets are now on-sale via SM Tickets. The show is made possible by the fans through MyMusicTaste. 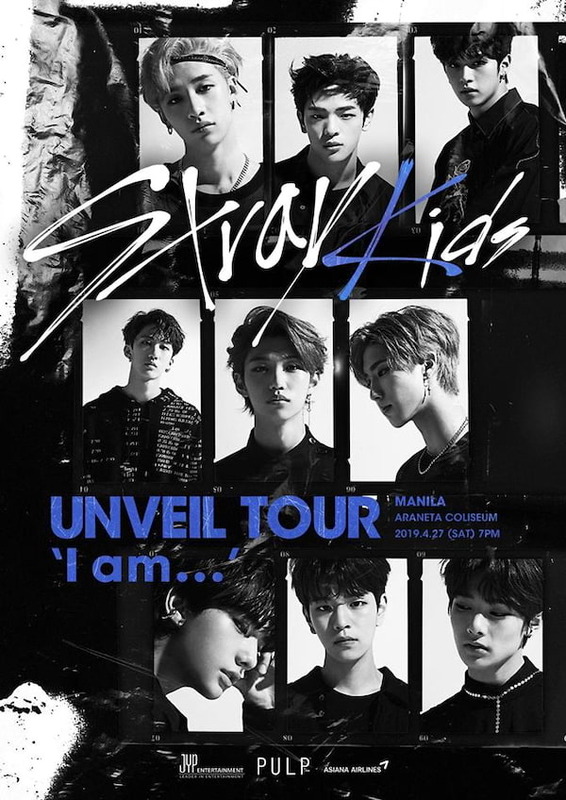 Filipino STAYs are in for a good April because Stray Kids will be taking on the stage of Araneta Coliseum for their "Unveil Tour 'I Am...'" in Manila on April 27! Recognized as Rookie Artist of the Year in 2018, Stray Kids is a rookie group under JYP Entertainment, formed from a reality show. The group - composed of members Bang Chan, Woojin, Lee Know, Changbin, Hyunjin, Han, Felix, Seungmin, and I.N. - has already released a predebut mixtape, and 3 mini albums, with I Am You being the most recent one, led by the title track of the same name. Tickets for the show go on sale starting March 17. You may keep checking PULP Live World's Facebook page for updates. 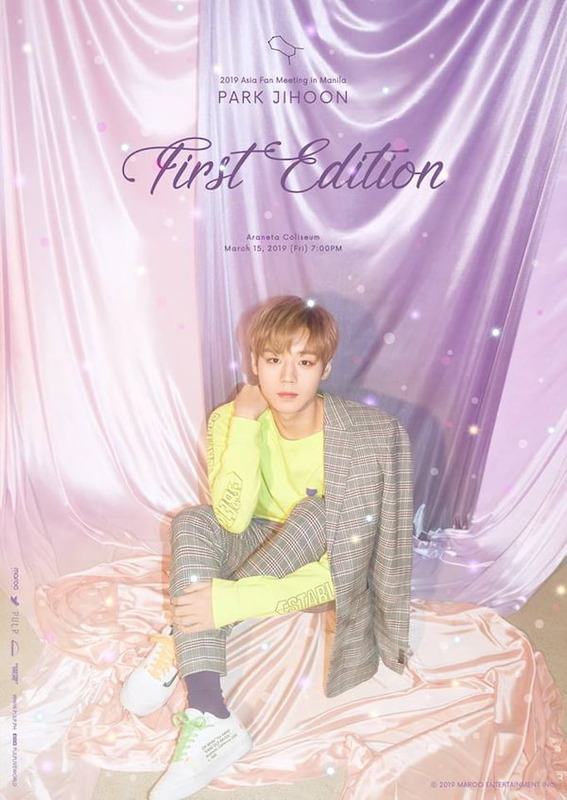 After rumors that the Korean actor will be going to the country for a fanmeet, Blossom Entertainment and Ovation Productions have finally announced an official date! 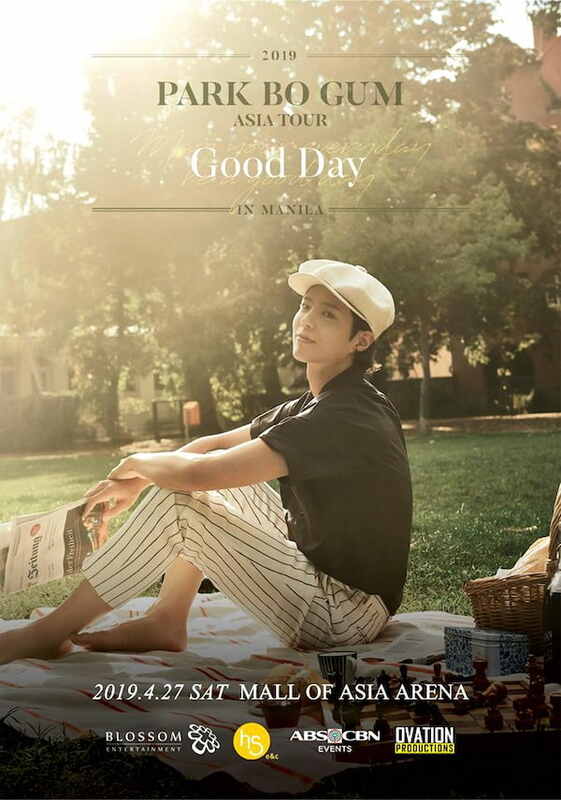 Happening on April 27, Park Bogum will be meeting his Filipino fans at the Mall of Asia Arena as part of his Good Day Asia Tour. The tour will also be including stops in Japan, Bangkok, and Hong Kong. The 25-year-old actor is most famous for his roles in dramas like Hello, Monster, Reply 199, Love in the Moonlight, and Encounter. Ticket details are yet to be announced. You can keep checking back on Ovation Productions' official Facebook page for updates. 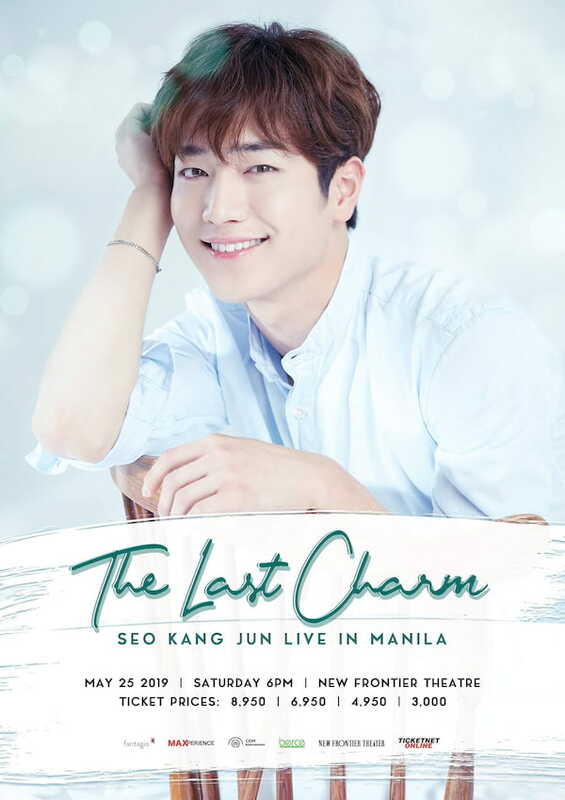 Adding to the list of all the Korean actors who will be visiting the country to meet their fans, Seo Kang Jun's agency, CDM Entertainment also announced that he will be including the country as one of the stops for his 'The Last Charm' tour. The event will be happening on May 25 at the New Frontier Theater. Seo Kang Jun is a member of the group 5unrise, and gained recognition for playing roles in dramas like Cheese in the Trap, The Third Charm, Are You Human?, and Entourage. Tickets for the show are priced from P3000 to P8950, all of which are inclusive of Hi-Touch and Official Poster, as well as other perks that vary depending on ticket prices. For more information, you may check out CDM Entertainment's official Facebook page. 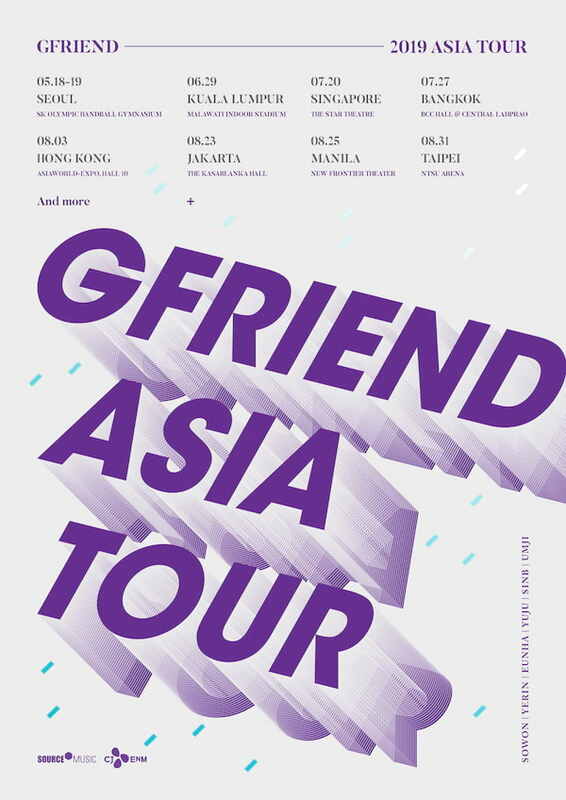 A year after their successful Season of GFriend show last year, GFriend will be coming back to perform for their Buddies on August 25 at the New Frontier Theater. The show is made possible by the fans through MyMusicTaste. The group, composed of Sowon, Yerin, Eunha, Yuju, SinB, and Umji, debuted in 2015 under Source Entertainment with the mini album Season of Glass. They have recently released a song called "Sunrise" which is part of the mini album Time For Us. Ticket details are yet to be announced, so keep checking back on MyMusicTaste's official website, as well as GFriend's Facebook and Twitter pages.